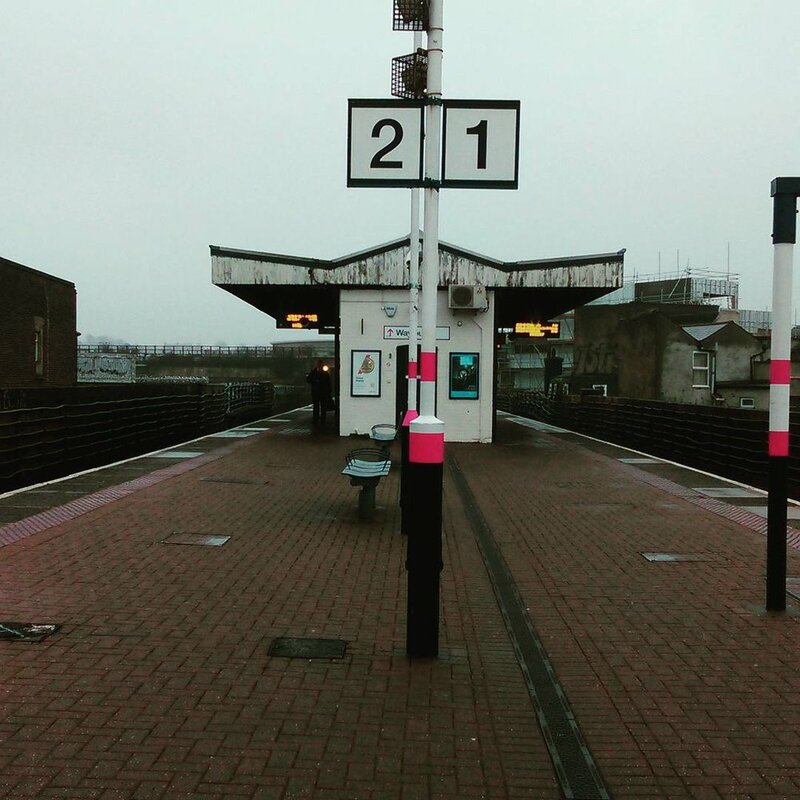 Having established what are the Top 10 Best Train Stations In South London, we set about finding out what the respectable denizens of South London thought were the Top 10 Worst Stations In South London. We examined every station, we considered the statistics, and we provided you with a shortlist. The votes are now in, and boy did the quantity of votes reveal what a miserable bunch we South Londoners are. We received almost double the votes for this then we did when deciding the best train stations! Clearly, we far prefer to moan about train stations than we do praise them. Anyway, for those who missed the initial voting phase, the criteria for stations on this list were stations within Zone 4, south of the river, that were either particularly bleak, particularly useless, or possibly even both. This was a pretty tight run affair, and came down to the wire as to which would be top dog, the tightest of wires! So, here we go, beginning at number 10, the top 10 worst train stations in South London, as voted for by you - the people (if reading out loud, say that last bit like Bane or Trump). First, however, the Honourable Mentions (the stations that just missed out): Eltham, Mottingham, West Norwood, and Charlton. All revolting or useless stations in their own right, but just not quite enough to warrant a place on this list apparently. Birkbeck station is a light rail stop and railways station in the borough of Bromley, and it was estimated to be the second least used railway station south of the river within Zone 4, just behind Morden South. Birkbeck, just perched on the edge of Zone 4, and apparently providing an intensely nonvital link between the London Tramlink and Southern Rail. It was so low on Southern's priorities during the recent strikes that Southern actually completely axed services to and from the station for a period. In August 2016, for 34 consecutive days, not a single train stopped at Birkbeck. Naturally, Southern publicised this change in the timetable as well as you might expect Southern to do anything. Having opened in 1858, Birkbeck was initially a popular stop on what was at the time the only line into London from Kent, but that's certainly not the case anymore though. With Elmers End only ten minutes away, providing a comparatively more frequent service into London - though that service is provided by Southeastern, so 'frequent' might be kind - there seems to be little point to Birkbeck's sad existence. It does, however, provide a sanctuary for the pigeons of Birkbeck, where they can breed and defecate without restraint. Kidbrooke Station is apparently, at some point in the near future, going to be a well-used and wonderfully attractive station - at least that's what the Kidbrooke Regeneration website says. It should be said that though Kidbrooke is currently not one of the most used stations in the South East, it does serve something of a niche, and it's use has increased in recent years, and will likely continue to do so in the coming years. However, that does not stop the station as it currently is being just downright ugly, and also physical station manifestation of the service that Southeastern provides - basic, half-arsed, and covered in that cheap grey colour they so love. It's quite reminiscent of a motorway footbridge, and similarly has that same depressing, desolate feeling. Apparently, when it was opened back in 1895, Kidbrooke was a rather attractive and quaint country station - but that all changed with the building of the now-demolished Ferrier Estate in the early 70s (we've included an extra fifth image of it just to show those who didn't know it, just how grim it was). 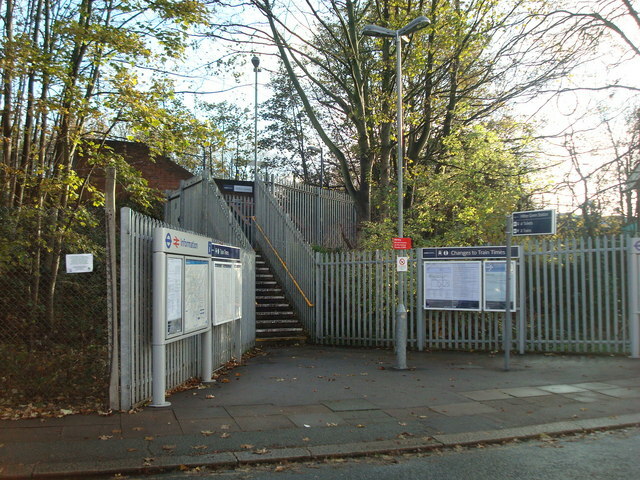 To coincide with the construction of the Ferrier Estate, the powers that be only saw fit to turn Kidbrooke station into a dump as well, and, curiously, though the aesthetics of Kidbrooke as an area are generally improving, the temporary ticket office currently in use is very much of the Ferrier Estate vibe. Hopefully, it will improve. Streatham station is certainly not a useless station, and of the three Streatham stations, it's the second most used behind Streatham Common. However, where Streatham Common and Streatham Hill are both rather charming and attractive stations, Streatham is just awful. Almost every inch of Streatham station is an utterly tragic expereince. The station building is almost remarkably unattractive from every angle, but we'll grant that the old-style station roofs are alright, if slightly out of place surrounded by all the wonderfully horrible 80s structures that make up the rest of Streatham station. It's a bit of weird mish-mash frankly, from its quasi-modern station building, to its Victorian stairs, it doesn't seem to make a whole lot of sense. Also it is guilty of something that really isn't acceptable in this day and age - it's got no lifts, so good luck if you aren't able to use stairs easily. Apparently it used to be accessible via ramps before the current structure was erected, but that was simply too helpful - remember, getting the train should never ever be easy. It also had ticket barriers installed back in 2009, so it doesn't even have that upside anymore, and had to be crossed off our the secret list of stations without barriers, which we might publish one day. The millions and millions of members of the Nunhead Railway Station Fan Club (NRSFC, or the Holy Boys as they also like to be known) shouldn't feel too gutted that Nunhead turns up higher on this list than Streatham, they actually tied for votes, but we used a randomiser to decide which would turn up higher and Nunhead lost, or won, whichever way you wish to see it. Though it's part of the line that provides the immensely useful link between Lewisham and Peckham, Nunhead itself is not particularly well used, and this may be somewhat down to the relative proximity of Brockley station, which is served by both Southern (when it runs) and the Overground. 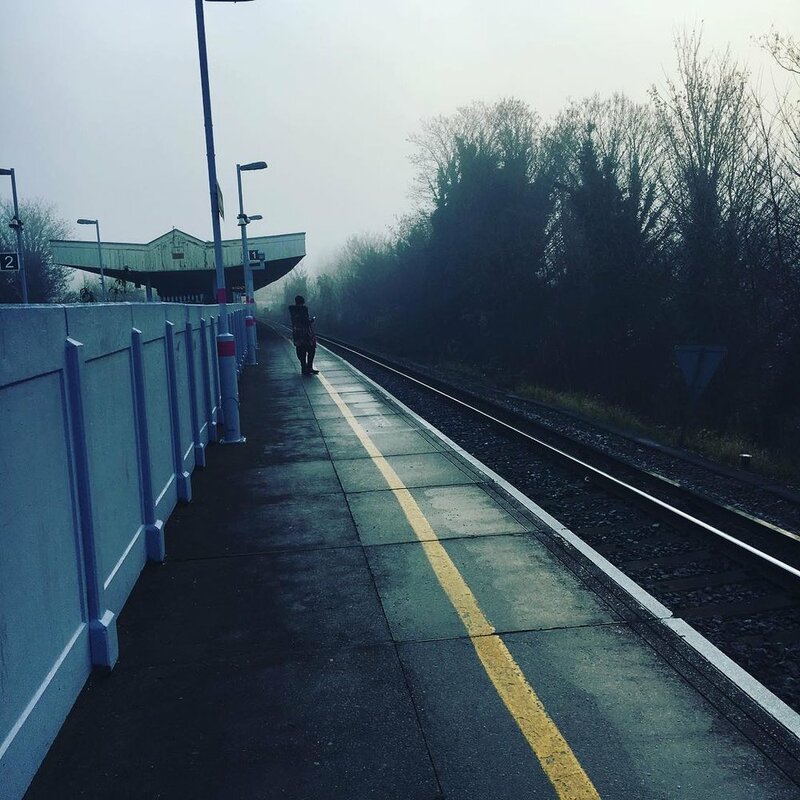 Despite the rather good views of London one can enjoy from the platform at Nunhead, the word that comes to mind when one gets off a train at Nunhead station is bleak. It used to be worse to be fair - before they did a little bit of work on the entrance, it used to be even bleaker. Now, you get to enter under the weird steel thing, which is kinda nice. That does not, however, stop it being a pretty poor station. Loughborough Junction has come to define the area that surrounds it. Loughborough Junction the station, and Loughborough Junction the are are not in particularly good shape currently. Though the area has potential and has a community that is working hard to improve it, that potential has yet to be realised, and the station reflects that. Simply put, Loughborough Junction station is not nice. It's inconvenient to use, it's poorly laid out, it's ugly, it doesn't connect well with other transport, it's inaccessible and it's in dire need of some love and attention (regeneration as they call it in the biz). 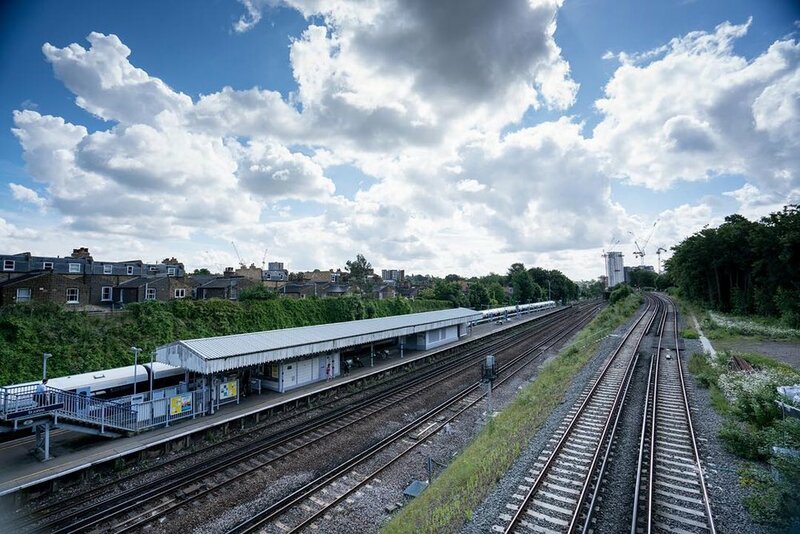 There have been proposals to make this happen, but just like whether a station that links Brixton to the Overground will ever be built, it's unclear as to when or whether this will happen. Sat between Elephant & Castle, and Herne Hill on the Thameslink line, the usage of Loughborough Junction station almost halved from 2014-15 to 2015-16. We looked quite hard to find the reason behind this sudden disinterest, but it should said that when we say 'halved', the actual case was that Loughborough Junction went from being relatively unused, to very unused. Its usefulness as a station is predicated on how many people want to use the Thameslink service, and it seems that not many people really do in the area. Plus, Denmark Hill is down the road and on Thameslink, while Brixton is close too, and that's on the Underground. Woolwich Dockyard is a subterranean hellhole. Okay, it's not that bad, but it's not great. Though named after the former Woolwich Dockyard, the station and the actual dockyard only overlapped by about 20 years, as the station opened in 1849 and the dock closed in 1869. If you look back at old pictures of it (not included for copyright reasons) Woolwich Dockyard was actually rather handsome. Naturally barely anyone used it then, and barely anyone uses it now, but at least it was a nice structure. Now it's got those absolutely delightful bus shelters that were brought in at stations like this all over the south east during the 90s. Don't worry, it's not the last time they'll be popping up in this list. Anyway, Woolwich Dockyard is pretty diddly, so diddly in fact that during the 2012 Olympics it was closed because of fears over the potentially large number of passengers who might want to use it to visit the Royal Artillery Barracks. So when the station did actually finally have a use for the first time in however long, it was too crap to be used - good job Woolwich Dockyard, you total idiot. Anyone who has used Southeastern services through Lewisham will have asked the question to themselves - why does St John's exist? Well, maybe not the people who actually use it, and that number is actually steadily growing every year. Apparently St John's (which was named after a church that was somehow built after it) is the product of a furious squabble between South Eastern Railway and the London Chatam and Dover Railway. LCDR had opened a station called Lewisham Road, on their now closed Greenwich Park branch, so SER struck back with St John's - and we're all here now to bask in their total, and utter victory. To the victor go the spoils, and the spoils in this case was St John's. The fact that there are theories as to why St John's exists says it all - we don't need theories for Lewisham or New Cross, their existence is self-evident, but St John's? No, there must be an ulterior motive behind St John's construction other than 'convenience'. This might surprise some people, but when it opened it had, brace yourself, three lengthy island platforms. Admittedly two of those platforms served one track, but still, three. Wow. Anyhow, our theory as to why St John's is so high on this list is that, though it's actually more used than quite a few of the stations included on our originl shortlist, it suffers from the fact that more people know that St John's isn't well-used because of it's location between Lewisham and New Cross. Don't go to South Bermondsey station. Just don't do it. Find another way. Walk to Surrey Quays, anything, just don't go to South Bermondsey station. Actually, in truth, South Bermondsey does have its uses - primarily to ferry away supporters away from Millwall's ground the New Den, but that's still a use. It actually has a purpose-built pathway straight from the stadium to the station. If you go to a Millwall game you can go almost the entire game without seeing the face of a single away fan. If the proposed New Bermondsey station, on the South London line of the Overground is built as part of the New Bermondsey regeneration plan - honestly who do they think they are fooling with that name - then South Bermondsey's use will be somewhat diminished. However, according to certain senior individuals, the development doesn't seem to be in a very good position currently, so, we will have to see what the future holds for this despairing example of a station. We imagine fans of South Bermondsey station will be particularly relieved about this. Okay, we put Hither Green station on the shortlist because when it was revealed that it had been included on the shortlist for best station, the outcry, particularly from locals, was quite astonishing. We were eventually justified in our decision as it was voted the third best station in South London. However, we recognised that some pretty fair issues the station has were raised by individuals, and so we put it on the shortlist for worst. It only went and came bloody second. Hither Green station is the most divisive station in all of South London, without question. How can it be both loved and hated? Well we've previously described how Hither Green connects quite a good number of services, and is therefore quite useful. However, that doesn't stop it from being an absolute pain to use. For a start, it's got no lifts, and for a station with as many platforms as it has, which is meant to serve such an important interchanging role, it's a nightmare for anyone disabled, elderly, or with a pram. Oh, and the ramp to get to the station is ridiculous as well - you try wheeling yourself up there. It won't surprise many of you to know it hasn't been updated since it was rebuilt back in 1974. Except for the removal of asbestos cladding to be replaced with corrugated metal. Good going Hither Green, not only do you look ugly, but you were potentially killing us as well. On top of that, Hither Green also has a quite remarkable disorientating ability - it does not matter how many times you use the station, when you get off the train, you're always a little unsure as to where you are. It was touch and go for a while as to which station would come out on top, it really was. Both Hither Green and South Bermondsey fought valiantly for the title, but in the end they were absolutely no match for the monstrous behemoth that is Catford station. Catford station is bad in almost every single way possible. Every bit of it is horribly ugly and comparatively few people use it. It also suffers because it is right next to Catford Bridge station, which is both attractive and very useful. 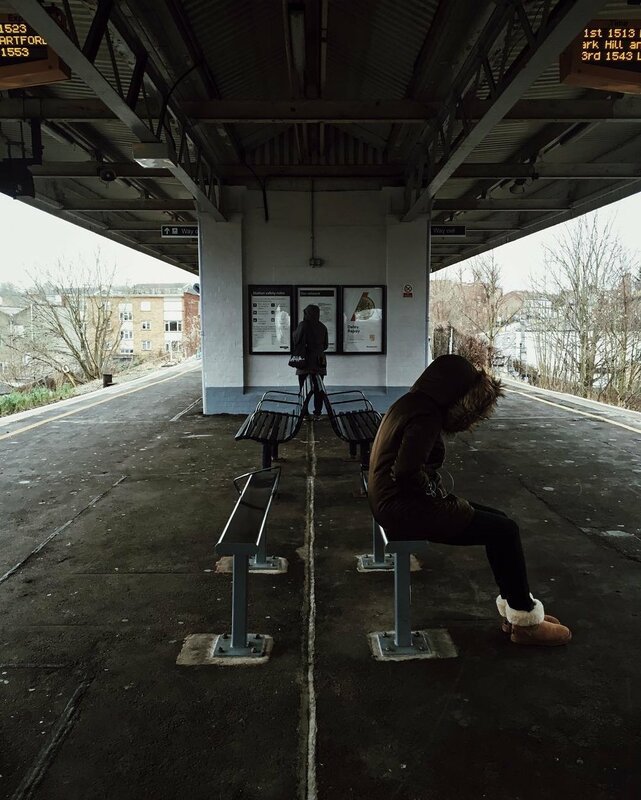 We should feel sorry for Catford station, but we don't. We know it's not Catford station's fault that, to quote one commentor on Facebook, "it has more rats than passengers" - it's a product of careless management, plain and simple. But just look at it. Who signed off on that station building? Oh, and it's also got one of those revolting bus shelters, those utterly depressing structures that were brought in to 'modernise' stations in the South East. Apparently they replaced equally horrible portakabin structures that had been erected in the 70s, so maybe the station has improved since then. It's only got one though, after all, who needs shelter from the rain on a train platform, it's not like you do much standing around on it. 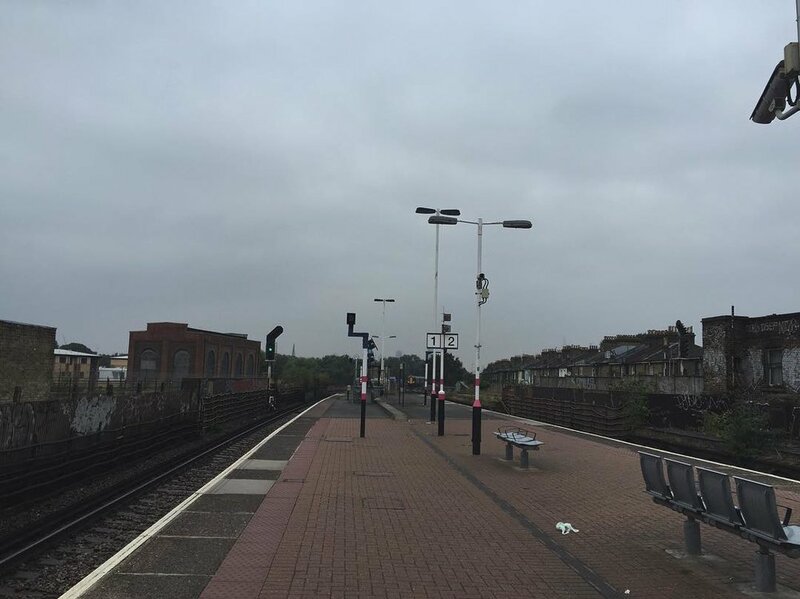 Anyway, Catford station was a clear winner as the worst station in South London, as voted for you by you - and we'd say is a very worthy winner.